At a time of higher-quality demands, a growing public environmental consciousness and increasing landfill gate fees, an excellent service is not only sought after but essential to survive. RWW went behind the doors of Grundon’s Colnbrook site near Slough to find out just how the family-run business is thriving in a modern resources sector. 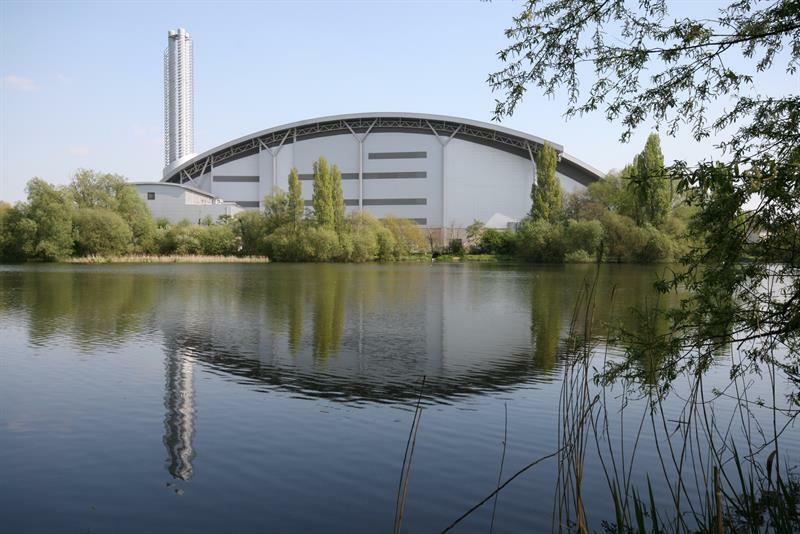 On the site, which is located by Heathrow Terminal 5 and surrounded by the M4 and M25, sits an MRF, waste transfer station, high-temperature incinerator and Lakeside Energy from Waste (EfW) plant, which is a joint venture with Viridor. Lakeside also runs an education centre for neighbouring communities to find out what happens to their waste and how they can recycle more. With China continuing to be on everyone’s lips, given the country’s decision earlier this year to impose strict import restrictions on some paper, cardboard and metals, quality is a key priority at the Grundon MRF. Built in 2011 on the grounds of an old landfill site, the MRF deals with thousands of tonnes of waste per year from a range of households and businesses. The facility uses near infra-red technology, which recovers challenging materials such as clean, clear plastic film, mixed plastics including PP and HDPE and laminated cartons. Grundon takes a proactive role in identifying nonconformers and working with companies to see how they can contribute to a better-quality material stream. Hitchcock and her team do plenty of duty-of-care visits to outgoing facilities and companies to find out “exactly what they do, and exactly what their waste is”. Their work visiting papermills has led to such high quality material that there is now a marketplace for the bales in the UK, demonstrating a closed-loop solution they hope will be echoed in other markets. Yet to improve material quality overall, Hitchcock insists there needs to be a sea-change in attitudes towards recycling, citing education as the largest issue when it comes to problematic waste streams. She says: “We’ve said to councils they could be spending less on their waste collection if we weren’t having these contamination issues, but it’s really difficult for them to take on board and turn into action. Next year, Grundon will be celebrating its 90th birthday. A remarkable achievement that is all the more impressive given it is now a third-generation family-owned business. Headed by Norman Grundon with son Neil as deputy chairman, the company aims to instil its family values across its employees. Plenty of workers I meet during the facility tour have been there for decades. Divisional manager for resource and recovery Steve Fisher has worked for Grundon for 35 years. Fisher’s familiarity with the site is heartening, particularly his ability to recite many of the licence plates and the names of the corresponding drivers. It’s this close-knit element which has allowed the company to develop its own apprenticeship scheme across various sectors, including within its purpose-built vehicle workshop. The workshops also help to keep Grundon vehicles on the road for longer thanks to that extra bit of TLC. The lifecycle of an average vehicle is 10 years, but some of the fleet end up running for 12 years. There seems to be a real sense of care and duty instilled in Grundon’s employees, and the company recently began a ‘Ways Into Work’ programme for autism candidates. Recognising that an interview situation is intimidating, candidates are given more practical tasks to be tested on. For example, they are taught what can and cannot be recycled and are then asked to do a sample pick, therefore creating the conditions for a more diverse and inclusive workforce. Challenging material streams which cannot be dealt with in an MRF are sent to the nearby incinerator, which burns all matter of toxic materials at a temperature of 1100°C, higher than the average 1000°C for an EfW plant. Material includes clinical waste, seized illegal tobacco, marijuana taken off the streets of neighbouring districts and some “secret” clients. It is just one of a handful of sites of this nature and processes thousands of tonnes of clinical waste from across the country per year. It operates under a strict environmental permit independent of the neighbouring Lakeside EfW facility. Opened in 2010, Lakeside EfW consumes 450,000 tonnes of waste and produces electricity at a rate of 40.2MW/ph. On average, 270,000MW is sent to the grid, after the site has taken the energy it needs to power itself. The facility has five major contractors and has the potential to power the town of Slough. Eagle-eyed RWW readers will have noticed earlier on in the piece that the facility was described as next to Heathrow Airport. Though this may be good news for material input, it’s less of a celebratory matter when the airport has plans to build an extra runway in the exact location of the Lakeside site. Though the capital’s business district may have cheered MPs’ decision to go ahead with the expansion, deeming the EfW not a ‘strategic asset’, Lakeside’s bosses have been left with a looming cloud of uncertainty. If the terminal goes ahead, the plant will either be extinguished or relocated. Given the sheer expense and logistics of the planning, building and running of an EfW plant, Coulston is in no rush to leave. In an ideal world, Coulston says he would like to stay put, but if the facility does have to move, would like to see the addition of heat networks. Outside the headache of a potential relocation comes the challenges of an uncertain post-Brexit market and a growing closed-door policy across many Asian countries. But with its unique blend of family values, innovation and progressive attitude, Grundon can be optimistic that whatever the market wants to throw at it next, it’s probably got the right tools for the job.